Scene One: A perfectly normal, if slightly messy, dining kitchen. A family are seated around the table consisting of mummy, daddy, two draped teens, a tween and a small boy ... though the small boy isn't ACTUALLY sitting, more kind of squatting on his seat. And bouncing about a bit. They are eating their evening meal with varying degrees of enthusiasm and chatting. Mummy to the Tween: "Have you got any homework?" Conversation continues around the rest of the table. Mummy, politely, to the Tween: "I asked If you had any homework?" Mummy: "DO you have any homework?" Mummy: "So, you'll do it after dinner, yes?" Tween sighs, rolls her eyes and stabs a piece of sausage (or pasta or chicken or whatever is on her plate) viciously. And so it begins, yet another skirmish in the Homework Wars. These are the first rounds of preparatory fire before THE actual battle, just one of many in an on-going war. The battle has proper explosions. And casualties, though it's generally temper, patience and understanding that repeatedly lay down their lives. Frustration, at this particular point, is winning. The Tween is a bright girl, articulate if shy, good at English (obviously *rolls eyes*) and interested in things that interest her. Ask her the inner workings of a steam engine and she can tell you, at length, with diagrams *looks meaningfully at husband* But homework? 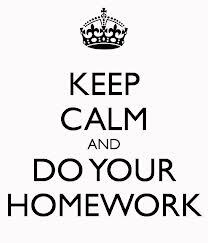 The Tween does not do her homework when she is given it. The Tween leaves it until the VERY last minute before it's time to hand it in and then appears tearfully clutching several pieces of paper that, in the blind panic to have her homework done on time, might as well be written in ancient Egyptian while she apparently comprehensively forgets every single thing she has ever learned. Homework IS pants. I know that. EVERYBODY knows that and that's why it's called Home Work, it is exclusively designed to BE pants. Clearly the best thing to do is to do it and do it well in as little time as you can possibly manage and then get on with home-sprawling and home-faffing-around-on-the-internet that you choose to do free of guilt. But it is this one singular fact that has by-passed the Tween by. I could have written this post about my 12 your old son! It's his second year at his school and he's still getting detentions for not handing homework in. His first year was a nightmare, ending with him banned from all computers for nearly a whole term after it turned out he'd been lying to me about not having any homework. I'll be so pleased when he's old enough to leave school and and the homework battle is over!